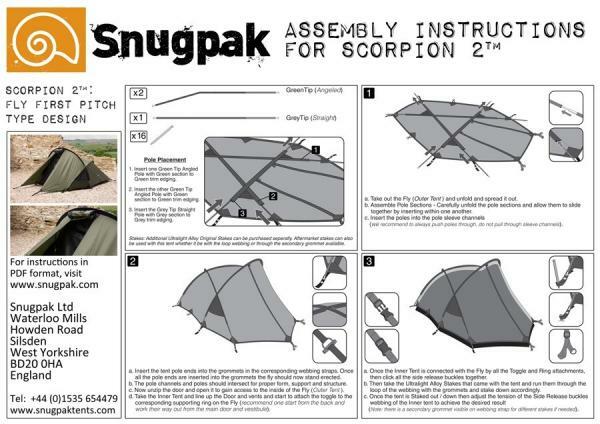 De Scorpion 2 tent is een stoere twee-persoons basiskamp en expeditie tent. 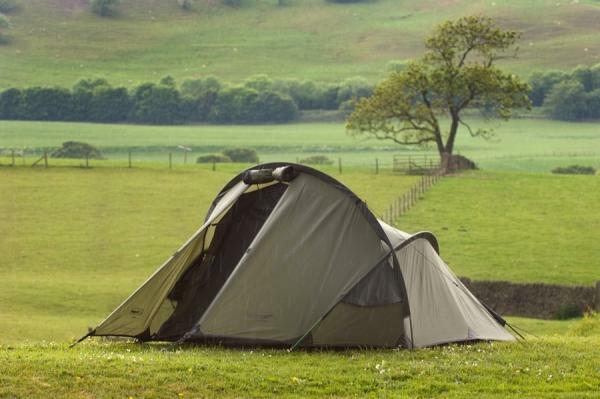 De tent beschermt u het hele jaar door van extreme weersomstandigheden. In geval van nood kan je er met 6 personen in zitten. 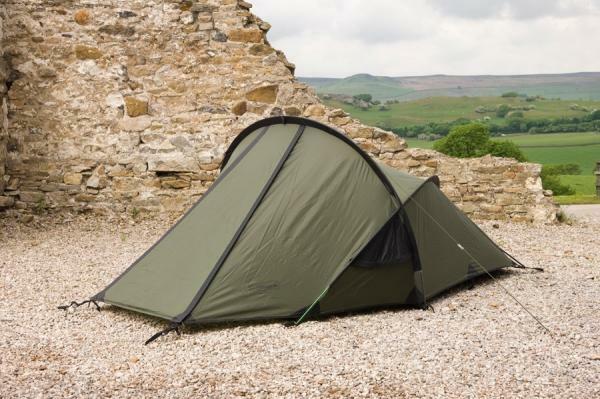 - Green Outer and Black Mesh Inner, Perfect for Base Camping Ventures & Expeditions. - Single-point Front Entry with ample porch. 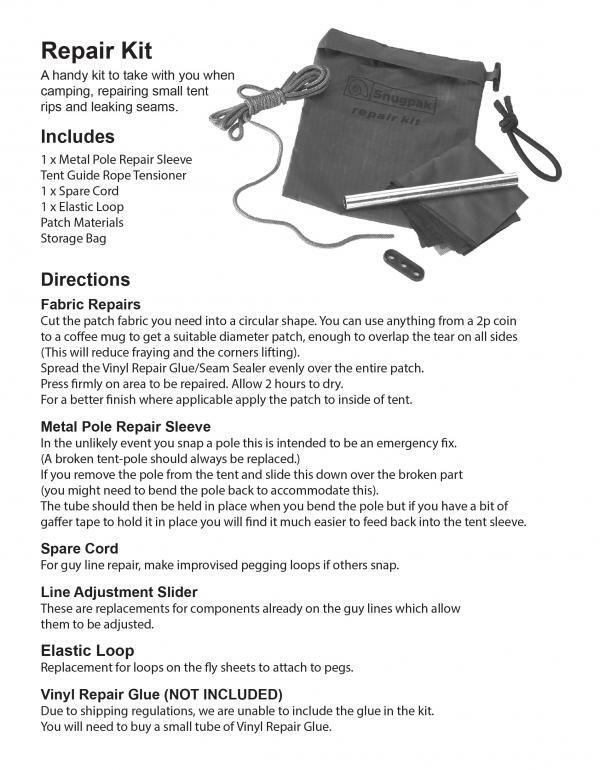 - Lightweight, but robust, 210t Ripstop Flysheet with 5000mm Waterproof PU Coating. 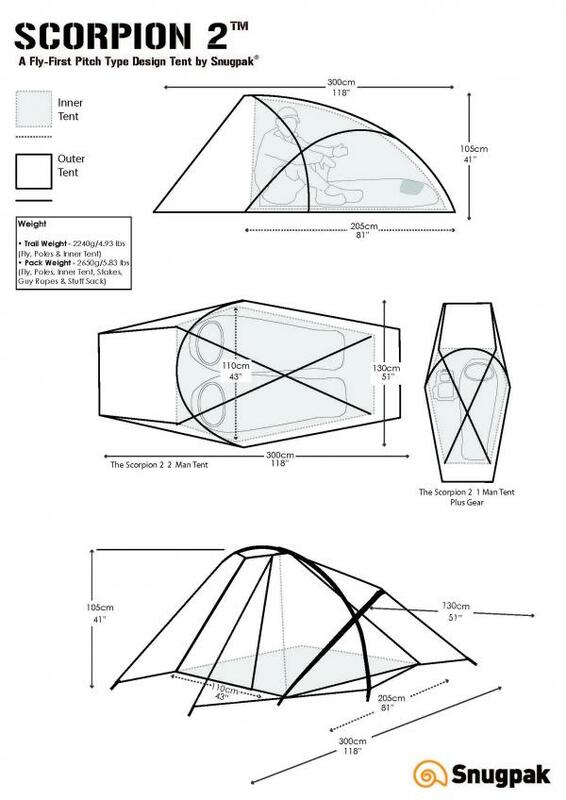 - Lightweight 190t Nylon 5000mm Waterproof PU Groundsheet, Bathtub Style. - Lightweight 190t Polyester Mesh Inner, with 50D No-See-Um-Mesh Mosquito Net. - Three DAC® Featherlite NSL® Anodised Aluminium Poles, with press fit connections. - Supplied with 18 Lightweight Alloy Cross-Stakes, with two-spares. 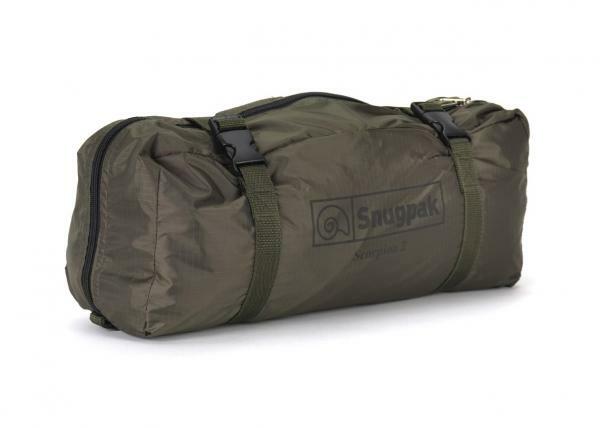 - Ideal for 4-season, basecamp ventures & expedition use with the Softie® Osprey 15 Sleeping Bag.